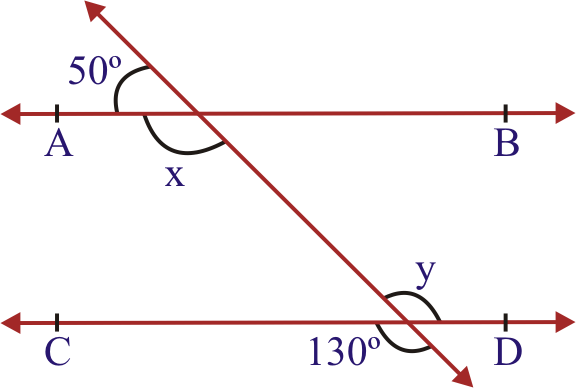 Q.1 In figure, find the values of x and y and then show that AB || CD. 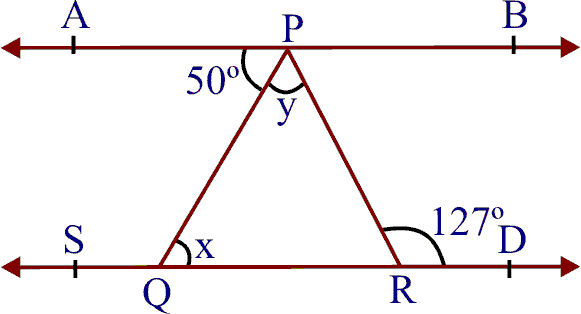 Since AB || CD and transversal PQ intersects them at R and S respectively. 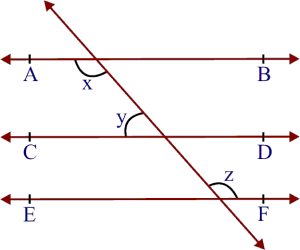 Q.2 In figure , if AB || CD, CD|| EF and y : z = 3 : 7 , find x. 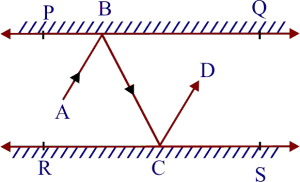 Since CD|| EF and transversal PQ intersects them at S and T respectively. 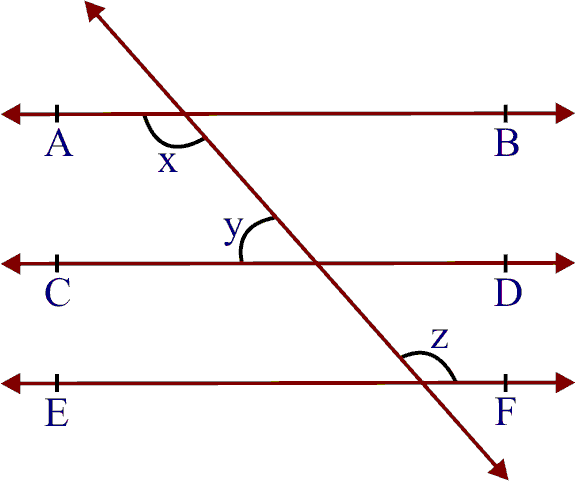 Since AB || CD and transversal GE cuts them at G and E respectively. 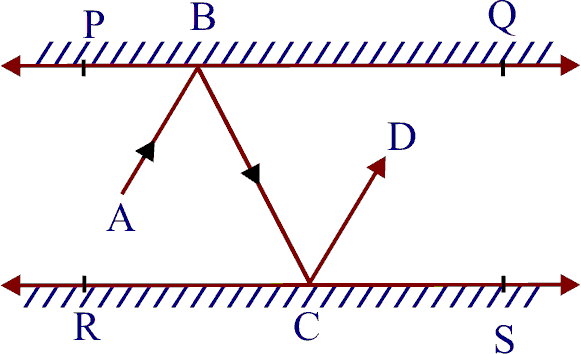 Q.4 In figure , if PQ || ST, and , find . Sol. 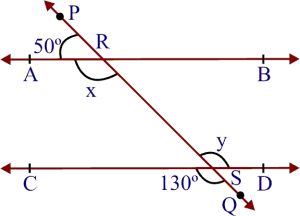 Produce PQ to intersect SR at point M.
Now, PM || ST and transversal SM intersects them at M and R respectively. Since ray RQ stands at Q on PM. 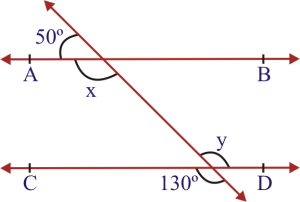 Q.5 In figure , if AB || CD, 50º and 127º , find x and y. 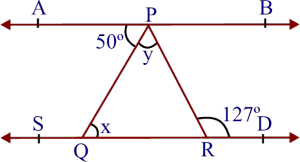 Therefore AB || CD and transversal PQ intersects them at P and Q respectively. 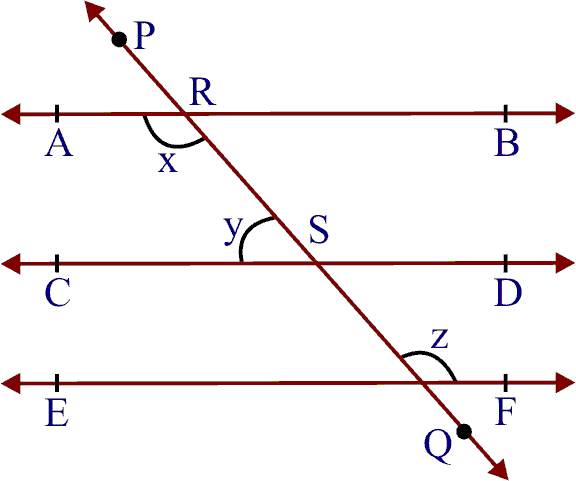 Since AB || CD and transversal PR intersects them at P and R respectively. 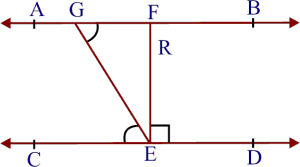 Q.6 In figure , PQ and RS are two mirrors placed parallel to each other. 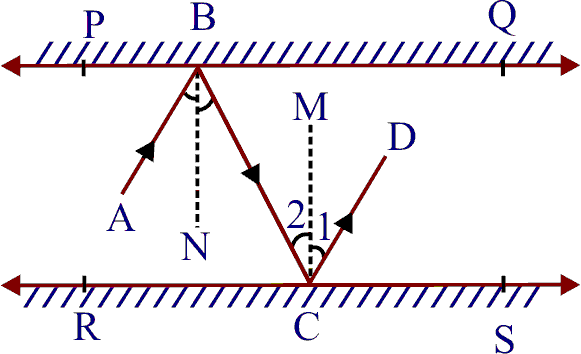 An incident ray AB strikes the mirror PQ at B, the reflected ray moves along the path BC and strikes the mirror RS at C and again reflects back along CD. Prove that AB|| CD. 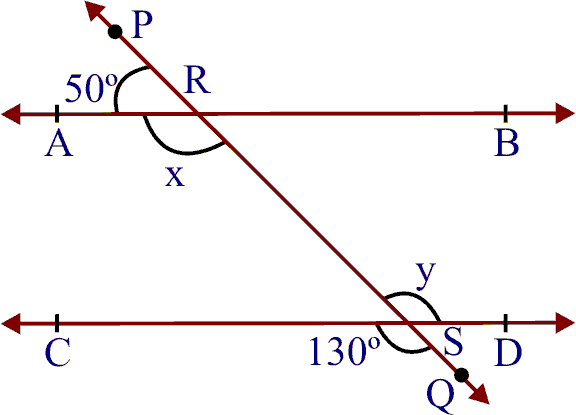 Two plane mirrors PQ and RS are placed parallel to each other i.e., PQ || RS. An incident ray AB after reflections takes the path BC and CD. 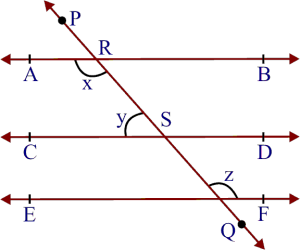 BN and CM are the normals to the plane mirrors PQ and RS respectively. 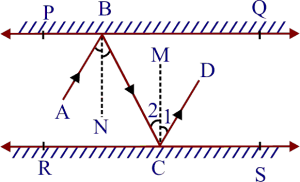 Thus BN and CM are two parallel lines and a transversal BC cuts them at B and C respectively. 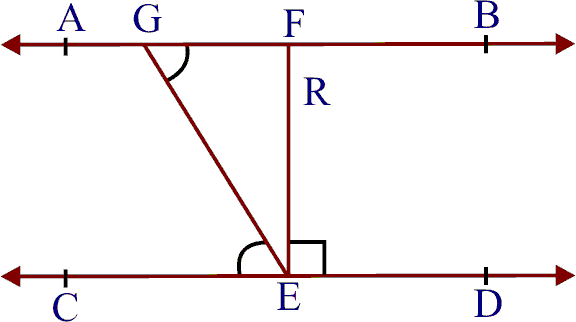 i.e., alternate interior angles are equal.